The Giant Magellan Telescope is one of three extremely large telescopes now taking shape across the globe. Its primary light collecting surface comprises seven 8.4-meter diameter mirror segments, among the largest mirrors ever manufactured. Located in Chile’s Atacama Desert the Giant Magellan Telescope will offer powerful new scientific capabilities to advance our understanding of the heavens. 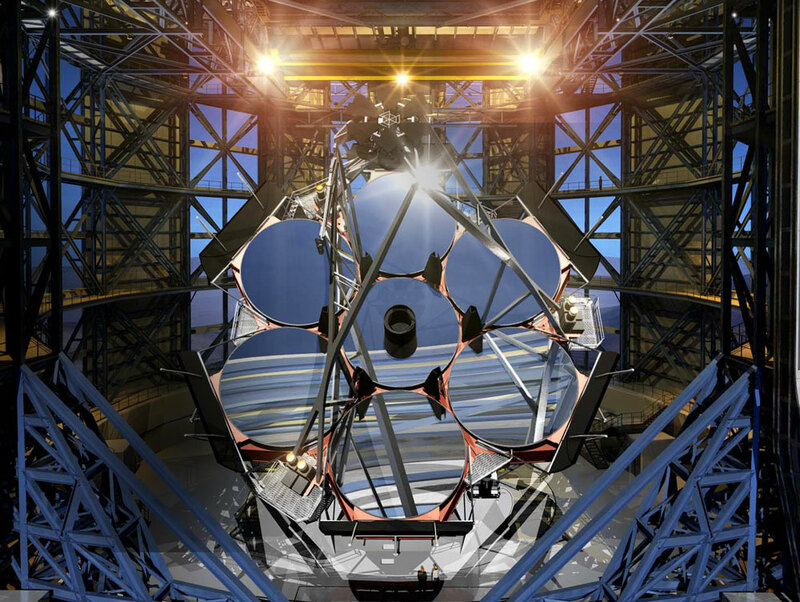 The telescope’s unique doubly-segmented optical design incorporates deformable mirrors that will compensate for the atmosphere’s blurring effects, giving the Giant Magellan Telescope ten times the resolving power of the Hubble Space Telescope. Many challenges must be overcome to achieve such an undertaking. How does one manufacture an 8.4-meter mirror? How do you protect them from damage in a region that experiences some of the world’s most powerful earthquakes? How do you defeat the atmosphere to produce sharp images? How does one manage an engineering effort on this scale? 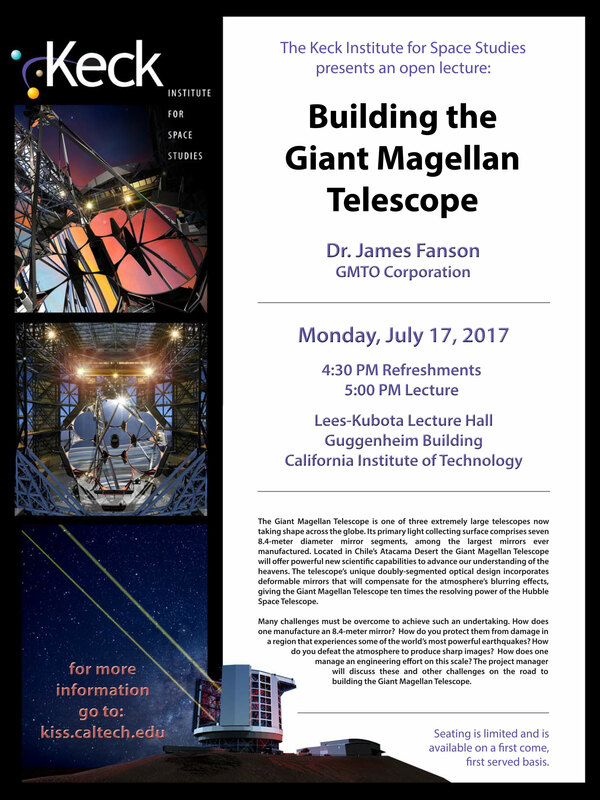 The project manager will discuss these and other challenges on the road to building the Giant Magellan Telescope. Dr. Fanson grew up in Wisconsin where dark nighttime skies spurred an interest in astronomy and space exploration. For more than 30 years he has been engaged in the development of telescopes to explore the heavens. After receiving his Ph.D. in Applied Mechanics from Caltech he joined NASA’s Jet Propulsion Laboratory. He was a member of the team that repaired the Hubble Space Telescope and served as observatory manager of the Spitzer Space Telescope—Hubble’s infrared companion. He was project manager of the Galaxy Evolution Explorer and the Kepler exoplanet mission. He is currently employed by GMTO Corporation as project manager of the Giant Magellan Telescope, a 25-meter aperture ground-based telescope being constructed in Chile.